Graham Sanderson Interiors is a UK based retailer offering stylish, good quality Fabrics , Wallpapers, Homeware, Curtains, Blinds for the home. Graham Sanderson Interiors is a UK based retailer offering Bespoke Curtains, Blinds and Homeware products. For over 50 years we have been sourcing the finest Designer fabrics and producing high quality Soft Furnishings for the home in our own workrooms. Today, it celebrates over 50 years of trading. Terry & Evelyn Sanderson started the business as a curtain and fabric shop in 1968. From the very beginning our store was known as dedicated to selling top quality fabrics. 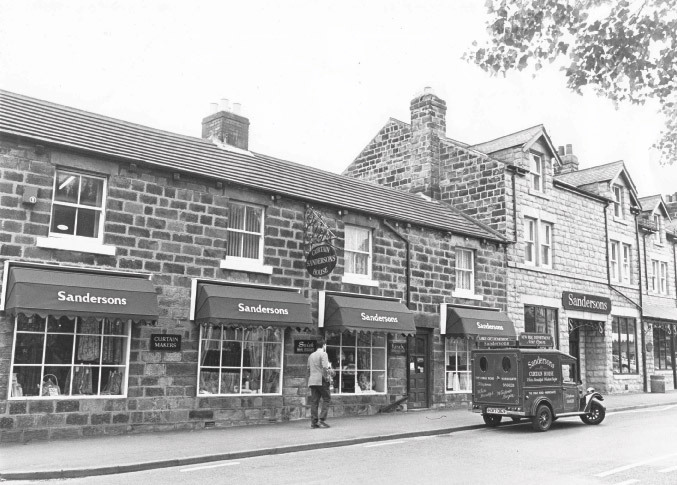 Still family owned and run by Graham Sanderson the store has expanded to servicing Curtains, Blinds & Homeware products across the UK & over thirty countries outside of the UK. Graham Sanderson’s reputation as an interiors specialist has thrived on personal recommendation, which ranges from St Pauls Cathedral, Premier league footballers to first time homebuyers. Graham Sanderson Interiors has one retail store in the whole of the UK based in Harrogate North Yorkshire, so whether you're travelling around the beautiful Yorkshire Dales National Park or living in the local area, pay us a visit.